Pittsburgh, PA / September 5, 2017: Since the launch of 412 Food Rescue, nearly 2 million pounds of good food has been saved from going to waste in Allegheny County and instead distributed to communities in need. Now 412 Food Rescue is bringing these efforts to Beaver, Butler, Westmoreland, Fayette and Washington counties with the launch of 724 Food Rescue. Cater Sydney dishes up gourmet meals made from local, organic, and freshly sourced products to create innovative & delicious menus. Food waste is a global problem impacting both the environment. Globally (and domestically) 40% of food produced goes to waste. That is enough to end world hunger four times over. 412 Food Rescue is the only food recovery organization in South Western PA solely focused on recovering food before it’s wasted as a solution to hunger. The program, launching in September, will kick off with a rescue from Farm Aid occurring at KeyBank Pavilion on September 16th. Food rescued from the event will be distributed in Washington County at the Burgettstown Apartments, in partnership with American HealthCare Group–an organization that provides Supportive Services in affordable housing communities for both families and seniors. With a focus on prevention and creating healthy lifestyles, American HealthCare Group’s service coordinators partner with 412 Food Rescue, and now 724 Food Rescue, to distribute fresh, healthy food in the communities they serve. “We couldn’t have asked for a better partner. Their mission to enhance the quality of life through health and preventative services dovetails perfectly with our goal to provide healthy food for all,” added Lizarondo. The response from donors has been enthusiastic as well. Four donors, Giant Eagle, Sysco Foods, Aldo Foods and Waypoint Foods have agreed to regular donations of surplus food to anchor the 724 Food Rescue kick off. To date, 412 Food Rescue has redirected over 1.8 million pounds of perfectly good food from going to landfills. The organization works with over 250 food retailers, 300 nonprofit partners and over 1500 volunteers. 724 Food Rescue which will pilot with 8 donor locations and 10 nonprofit partners will serve the estimated 122,000+ food insecure individuals in the 5 county area. 412 Food Rescue launched in 2015 with support from individuals and organizations led by The Henry L. Hillman Foundation, The Pittsburgh Foundation, The Heinz Endowments, and BNY Mellon Foundation. 412 Food Rescue launched in 2015 to address the disconnect between the fact that 40 percent of food produced in the United States is wasted while one in seven go hungry. Utilizing technology to solve the logistics challenge of retail food recovery, 412 Food Rescue is the only organization in the Southwestern PA region that focuses on food that would otherwise be discarded, impacting not only hunger but also the environment. 412 Food Rescue’s goal is to introduce innovative solutions to eradicate food waste in the region and expand its model to cities around the country. To date, 412 Food Rescue has redirected over 1.8 million pounds of perfectly good food from going to landfills. The organization works with over 250 food retailers, 300 nonprofit partners and over 1500 volunteer drivers, our Food Rescue Heroes. Farm Aid’s mission is to build a vibrant, family farm-centered system of agriculture in America. Farm Aid artists and board members Willie Nelson, Neil Young, John Mellencamp and Dave Matthews host an annual festival to raise funds to support Farm Aid’s work with family farmers and to inspire people to choose family farm food. For more than 30 years, Farm Aid, with the support of the artists who contribute their performances each year, has raised more than $50 million to support programs that help farmers thrive, expand the reach of the Good Food Movement, take action to change the dominant system of industrial agriculture and promote food from family farms. American HealthCare Group brings preventative services and on-site health programming into schools, employer groups, and affordable housing locations across Pennsylvania and nationally. Based in Pittsburgh, PA AHG has been a part of the region’s healthcare industry for close to 40 years, guided by the mantra: “The Future of Healthcare is Ours to Create.” Bringing preventive services to schools, affordable housing, communities and employer groups makes up the core of their services. Their Supportive Services Programming fulfills the role of health, wellness and social services coordinator for agencies and facility owners involved in the oversight of public housing. 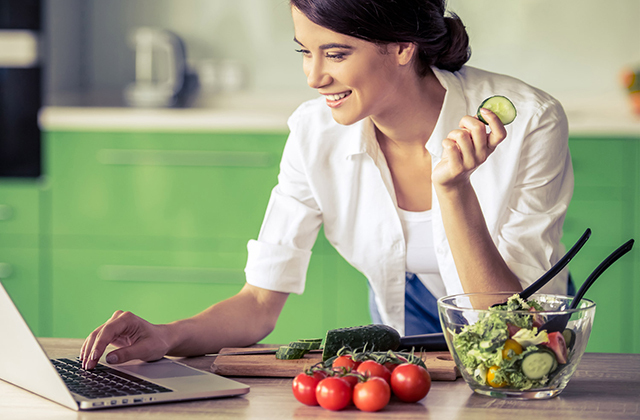 Because of these initiatives, American HealthCare Group has branched into designing two dynamic programs, Pathways to SmartCare Employee Wellness Program and Farm to Table Pittsburgh. If you are thinking of holding an event in Sydney, and also you quit to think of it, you could realize that there is a dreadful great deal of work to do to make certain that your party runs efficiently, and is an event that your visitors will certainly keep in mind for a long period of time to come. You desire them to keep in mind it for the right factors, not the wrong ones. Corporate catering of Sydney is the definition of professional catering and has been providing excellent experiences and hospitality to the Sydney area for over a decade. 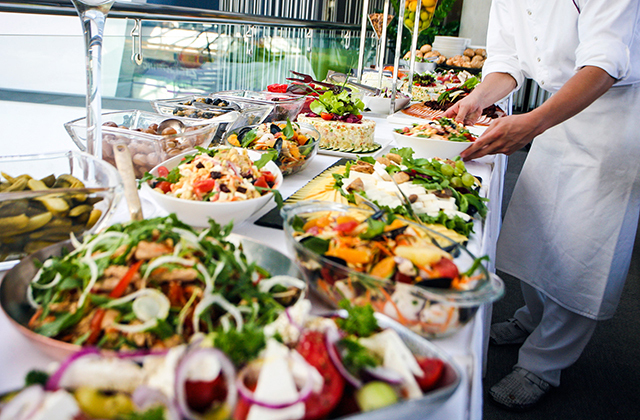 In order to get it right, party event catering planning in Sydney has to be – well – prepared! There is much more to it compared to just sounding around all your good friends and welcoming them over for the day, or the evening. That is truly the easy bit, as well as you may well have done that just before you understand that you could simply potentially have attacked off more than you can eat. To begin with, unless you have a big family and also a huge house, it is likely that your cooker only has four hobs and one stove. After all, that is all that the majority of houses require. Suddenly you need to prep meals for perhaps 20 or 30 individuals a lot more if you have actually truly gone overboard as well as there is no chance that you are visiting do that with the average family cooker. Couldn’t I Make It A Barbecue Celebration? OK. The weather condition in Sydney is balmy, the sunlight radiates for 340 days a year, so we ll make it a bbq party. Right. The people that acquired offered initially would nearly be ready for their next meal by the time you had actually finished cooking for the last couple. There is much additional to social event catering preparation compared to you would certainly understand. Exactly what Regarding A Cold Buffet? We wear t prefer to state this, but also for the most part serving a cold buffet suggests preparing a lot of meals prior to the guests arrive, as well as letting it awesome. You have to prepare it so that it all suits with each other and also looks pretty. For example, permit s state that your piece de resistance is visiting be a huge salmon. You need to prepare it, allow it amazing, location it on a recipe, and embellish it with herbs, vegetables, tossed salad, or whatever you want, to make sure that it looks as though it has been done by expert food caterers. It is likewise very likely that a salmon large enough for your functions succeeded t match your oven in the first place. For any type of celebration of even more than around a loads folks, you will certainly find that your cooker just gained t cope, and you could have to invest so much time on prep work that by the time your visitors arrive all you will really feel like doing is dropping right into bed, rather than playing the best host. Hmmm. What Concerning The Plates And Cutlery? It is quite likely that you simply put on t have good enough of these to cater for also a small event, allow alone one of 30 or even more. It saves on the washing up, however you wish your celebration to be remembered for being a remarkable success, not something that you may view at the local church fete. Yes, there is a lot more to party catering preparation, if you intend to have a celebration that is hailed as a roaring success, compared to you could at first think. ASSISTANCE! What Can I Do? Similar to most factors in life, there are always folks around that are specialists and could ensure that whatever you need is done perfectly, since it s their work. At Chilterns Wedding catering & Events we have been planning party food catering preparing in Sydney for years, as well as although we say so ourselves, we are respectable at it. We have all the equipment that you will ever before have to hold your event, and also we are experts when it involves event food. Not to place too fine a factor on it, our whole team contains dedicated foodies which enjoy nothing far better compared to preparing, and afterwards producing, meals that will just make your mouth water. We love to consume the very best ourselves, however we obtain great satisfaction from providing the exact same for people. Yes, it s just how we make our living, yet at the exact same time we get a bang out of it, as well as we like absolutely nothing more than when our customers write, phone, and email us after their event to tell us the amount of their visitors enjoyed it. Offer us a call now, or send us an email, and inform us exactly what your suggestions for your party are. Rely on us to make it occur.